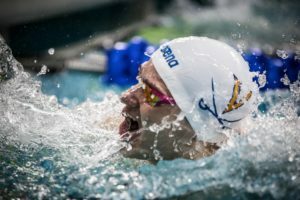 On a busy weekend of swimming, with the women’s NCAA Division I Championships, the men’s and women’s NCAA Division III Championships, and the NCSA Junior National Championships all taking place, there is only one Sectional meet happening. That one sectionals will be hosted by the Phoenix Swim Club in Phoenix Arizona: 1000 miles away from the closest of the aforementioned meets (Austin). Among the entrants to the meet is 16-year old Ashley Strouse of the Scottsdale Aquatic Club. Last week, she and many of her SAC teammates were in Rochester, Minnesota (where highs were 30 degrees and the swimming was indoors). They’ve returned home to a very different environment and are now scheduled to swim in their native sectional championship this weekend outdoors, with highs in the 80s, and in a short courses pool. In Rochester, Strouse won the 100, 200, 400, 800, and 1500 freestyles, and was 4th in the 50. This weekend, in yards, she’s tweaked (and shrunk) her schedule. She’ll still swim the 200 and 500 frees, her best events, individually, but will only add to them the 50 free and 100 fly. She’s still a huge favorite in the middle-distance frees: by 3 seconds in the 200 and by 7-and-a-half in the 500. Her counterpart in the boys meet will be Michael Petrides of Kamehameha Swim Club in Hawaii. The #18 recruit in the class of 2019, and a Cal commit, is the top seed in both the 200 and 500 frees as well, though by less of a margin (1:35.21 and 4:20.07, respectively). He’s also entered in the 50 free, 100 free, 200 back, and 1650 free. A group of pros and collegiate post-grads speckle the psych sheets as well. That includes Egyptian National Teamer Youssef Elkamash and US National Teamer Kevin Cordes, who are the top 2 seeds in the men’s 100 breaststroke. 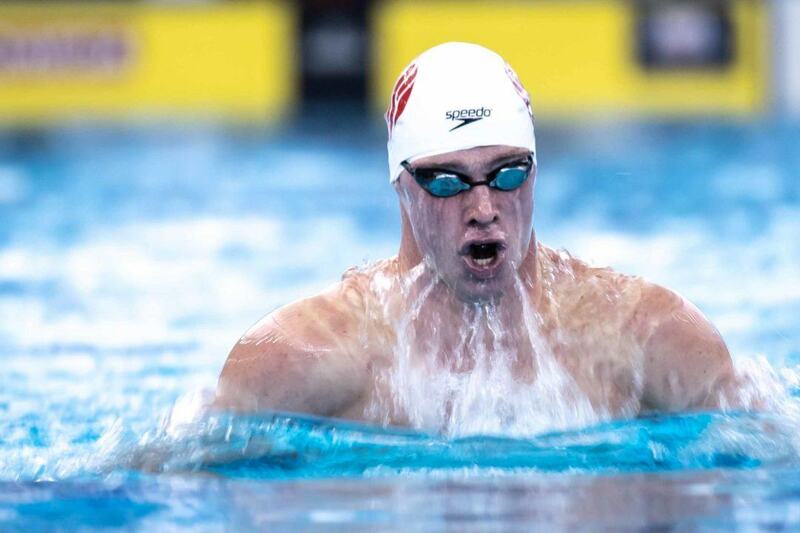 Giles Smith will also be at the meet, racing the 50 free, 100 free, and 100 fly; in those sprint freestyles, he’ll face, among others, Douglas Erasmus and Brad Tandy from South Africa and Mazen Elkamash: another Egyptian, and the top seed in the 100. Check out 15year old from Zachary Ian Tan from Singapore under PSC in the pysch sheet.